And to make my weekend even sweeter....I found out that my name was drawn by Ewa's "helpful and handsome" boyfriend as one of the winners for a home-made surprise! (check out her blog and you'll get the humor there!) I can't wait to find out what she's making! 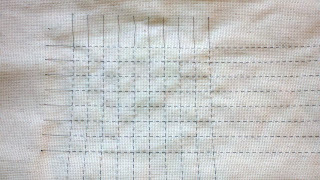 I ALMOST completed page 1, which is about 3800 stitches! Keep in mind though, I took out the top 40 rows to fit on my fabric .....and.... there were only THREE floss color changes so far!! What a nice change to work on a HAED with no confetti! (but I can't speak too soon....page 2 begins some confetti!). I could never have completed this many stitches otherwise! What I loved most about starting this piece was that Katie at Jeremiah's Mom also started a new HAED and we agreed to start together! Check out her blog and see her beautiful progress! I love the little bit of green colors that are starting to show! Now for my "rotation inquiry"....for those stitchers out there that rotate your projects/pieces....do you have a set plan or way you go about it? Do you have a timeline set, for example, I'll work on piece A for one week, then piece B the next? or do you have set goals, for example, I'll finish page 1 of piece A then page 4 of piece B? I've just started feeling lost...not overwhelmed ...just lost. I feel like there is one piece I should focus on until it's done, with maybe a secondary I work on as well....then as I finish a piece, I pick another focus project? I know, with the majority of my projects being HAEDs, I won't finish but maybe one this year (hopefully the one that is a gift! )...so should I just drop everything else and work on that one? Anyhow, I hope everyone had a wonderful weekend and you're enjoying the Spring weather! The New Moon is this week, which brings with it the March TUSAL! Can't wait to see everyone's ORTs! For myself I have about 10 active WIP. And about 7 UFOs that I haven't worked on in quite some time. What I do is prioritize, if there is a project with a deadline it gets more time each week than anything else. My priority stitching has been my Dragon Project for the last few years with some other deadline type stitching in there (ie: baby sampler or wedding samplers). I think it's all about what you can want to work on and when. I do know a lady who has her projects in a basket and pulls the name of the next one to work on. Insures that there is mystery to it, but she works through all of them before the paper goes back in. You made so much progress on your new start! Glad you had such a nice weekend! I always have more than one project going and I don't have a rotation plan. I just work on whatever project is calling at the moment and of course projects with a deadline get first priority. I have tried a rotation schedule before but that just doesn't work well for me, I like more flexibility. Wow Lesli!!! You got so many stitches in! That's fantastic. Thanks for the shout out to me. I have all my projects ready to be worked on. I work on whichever one screams the loudest. I have noticed if you don't want to be working on the piece it isn't fun and I want to have fun with my love of stitching. So I stitch on whatever I want when I want. Good luck finding what works best for you. As for rotations, I'm a lot like Katie. Whatever screams the loudest is where I go next and I usually have only three projects going at a time (at least one HAED and one Chatelaine). Great progress for IHSW. I am starting a rotation again which is a weekly one. Four projects one project per week. I have tried so hard to be a one at a time girl but there is just so much I want to stitch and a couple of HAEDs. 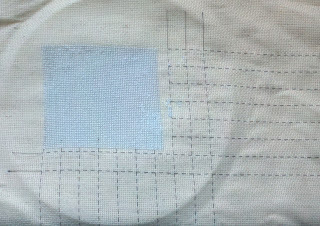 I do know some HAED stitchers finish one page on each project before working on the next. Others work to a screaming rotation whichever project calls the loudest. I think it is whatever works best for you depending on whether you have any deadlines. Your stitching looks wonderful and you got SO MUCH DONE! I'm thoroughly impressed! Wow you made fantastic progress on your new start! I have a rotation of sorts. I have nights where I stitch certain things for example Monday is Shepherd's Bush night, Tuesday is L*K 6 Fat Men night and Friday and Saturday have been Blackbird Designs AotH nights but they'll be HAED Guardian nights for a while now. Other nights I just stitch on whatever I want ( smaller stuff). Great progress on your HAED!! I used to be a one-at-a-time stitcher until I started blogging. :o) Now I do a rotation of four pieces, one week give or take devoted to each. It's been working pretty well for me this year. I say, stitch what you feel like stitching! I used to be a one at a time stitcher, but once I discovered that all of these bloggers have multiple projects going, I put all of my WIP's into a bag with a shoulder strap and I just pick the one I feel like working on every day. And I have a Love Quilt square due on June 1st, so I am putting it first most days, to make sure it gets done by the deadline. I agree with the person who said that if you don't feel like working on it, it isn't fun. Right now, I'm filling in some background on a project and it's all one color and a huge diamond, which will then have metallic backstitching to put the design in. I'm getting tired of working on the diamond, but I'm so close to being done with it that I'm pushing through. I say work on what calls to you on any given day. Our moods change. Why not work on a couple of different projects every day and whichever one you feel like working on? Congrats on winning Ewa's giveaway. I can't wait to see what she sends you!!! Rotation.... that doesn't work for me, so I'm absolutely no help, whatsoever!!! 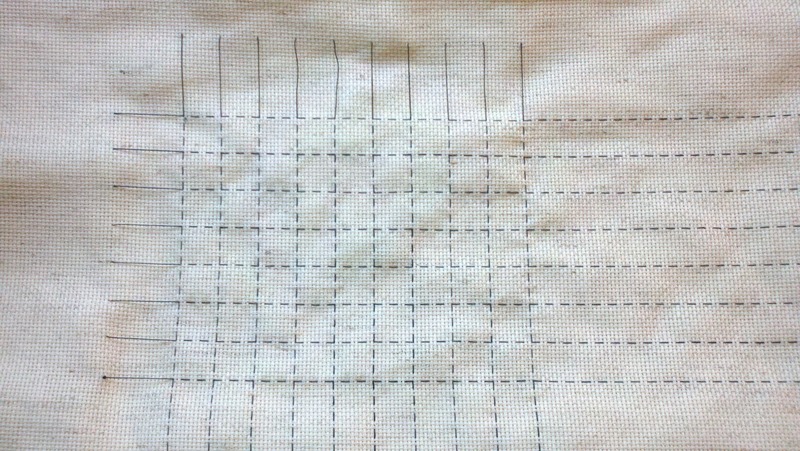 But I say, rotate to where you are stitching for the joy and love of stitching. Otherwise, it becomes a drag. No help, am I? LOL!! !